Build your art on a strong foundation with Matisse Background Colours: an all-purpose pure acrylic that can be applied to almost any surface. Matisse Background Colours are a highly pigmented low-tooth gesso. Used directly onto wood, the Background Colour will not only cover and create a great surface to paint on, but will also seal the surface with its built-in sealer. Matisse Background Colours can also be used with stencils, design painting, or simply as a flat decorative wall and ceiling paint. Apply direct from the jar and clean up with water. They spread easily with brush or roller and dry fast to a matt-velvet finish. 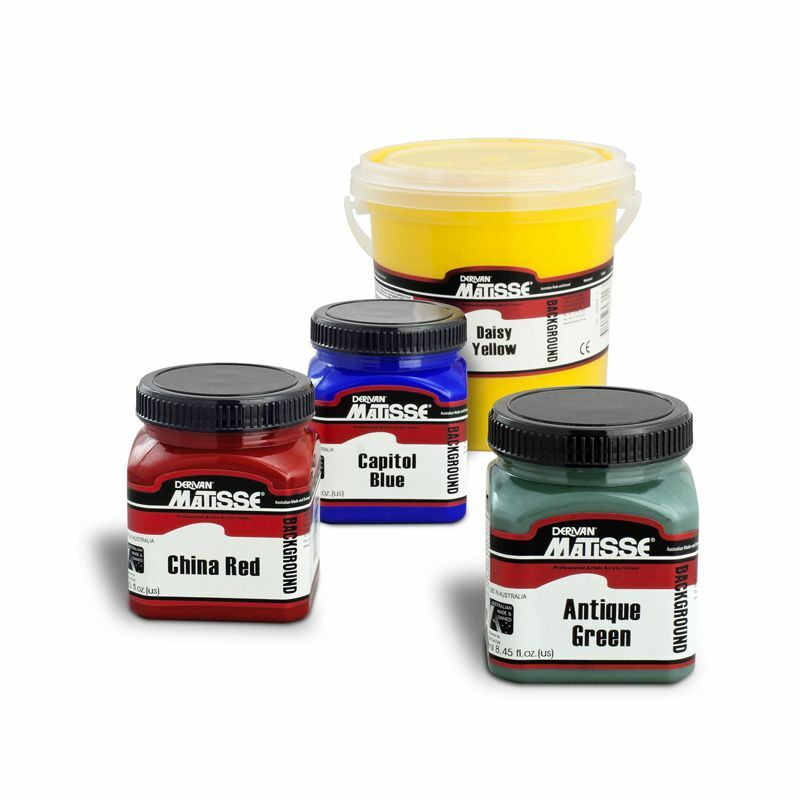 Matisse Background Colours make an ideal coloured gesso.